New year, new market, new way to party downtown. 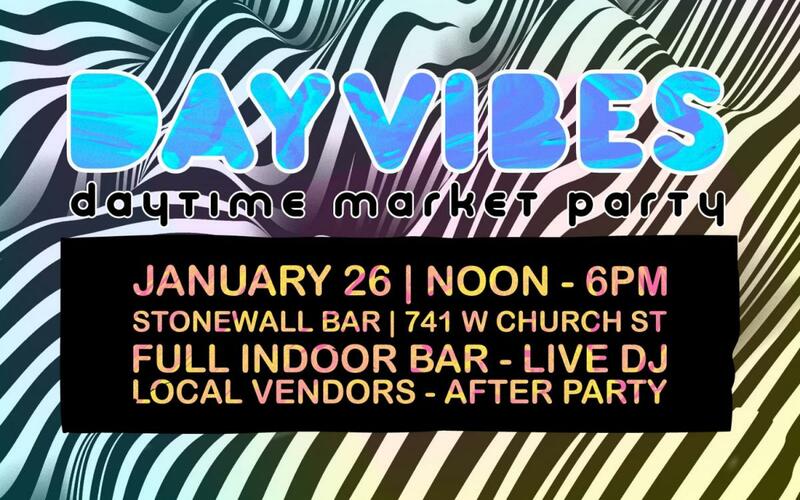 The DayVibes Daytime Market Party takes place January 26th 12-6PM. This just in; Tommy Mot and Ashley Hallenbeck are teaming up to bring you a sick new downtown market just a single building away from The City of Orlando's Parramore Farmers Market Launch - January 26! The market party takes place at Stonewall Bar Orlando, a super-inclusive space that boasts a sky bar, the video main room, patio and some incredible parties and shows courtesy of Tommy Mot! If you've never been there, then it's time you went. Stonewall is located directly across the street from the Soccer stadium. There will be vendors in the parking lot, main floor, and patio. The open air second level Sky Bar will have drinks and entertainment! There is plenty of parking all around the event.